There was this article (2011) in the National Geographic Magazine commemorating the fact there are now 7 Billion humans on this planet. The author, Nigel Holmes talked about what it would be like to have a party where the whole world is invited. He said that an elevator allows about two to three square feet of space per person, however this is a party and he wants everyone to have some space to dance, giving them six square feet of space. This means that the party would need a space of about 1500 square feet. Holmes then said that such a kind of party space would be found in places like the complete city of Multan, Pakistan or all the 118 islands of the French Polynesia. After reading this article I spent the next week thinking how this party would be like, how it would be to party with so many people in such a small place. Chandini Chowk is an apt example of how such a party would be like. Correction, its an exact example of how crowded it would be. 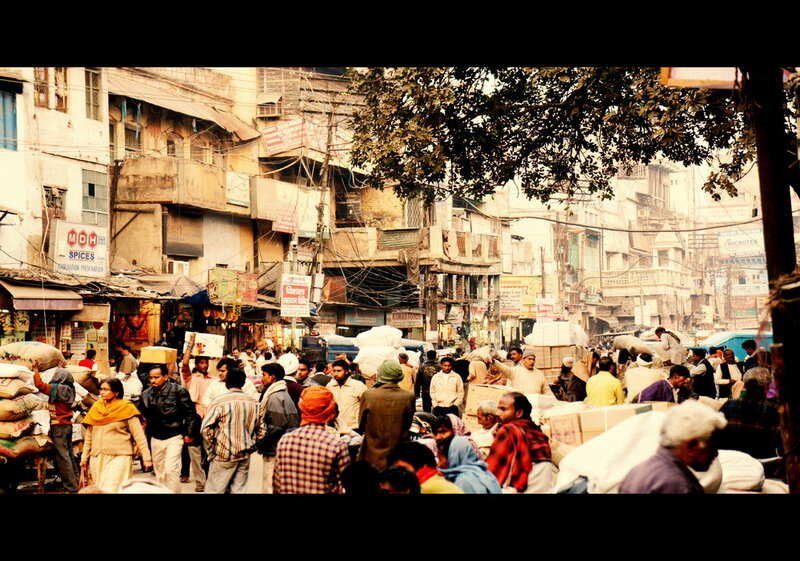 Chandini Chowk is a small district in the older parts of Delhi. It overlooks the Red Fort and was and still is used mainly as a large marketplace for the masses. I have gone there thrice. The first time was when I was ten and we had to go meet some relative. I hated it. I was ten and forced to walk through crowded, poo infested streets and I didn’t even get a Mc Donald’s burger for lunch because there weren’t any in a twenty mile radius (I was growing through a phase where everything was too spicy and dragging me out of my house to meet relatives costed my parents a burger). The second and third time was quite different. Six years after growing taste buds and an increased temperament to the Indian sweaty crowd, my opinion about the place changed. In 2011 I went with my parents with no real agenda of my own. It was the winters and weather was perfect to walk around tiny lanes with the greasy smell of paranthas. Chandini Chowk was really the first place I took an interest in macro photography. We walked to a never ending strip of markets specialized for selling just spices. It was really an amazing sight. The heaps of raw spices were a visual, however they did give a good battering to my olfactory senses with that strong, pungent smell. I experimented quite a bit with such spices walking through the heavily scented area. Apart from the chillies another favourite picture among the spices is a picture of a bowl of mixed spices, the star of the picture being incidentally, a star anise. There is stark religious divide in Chandini Chowk. The complete shopping area is divided in a Hindu and a Muslim market. The Hindu markets are in close proximity of the Red Fort and is also where you would end up if you ask any local for the way to Chandini Chowk. The Muslim market overlooks giant mosque called the Jama Masjid. The two areas (the latter is called Chawri Bazaar) are different is some ways. The people in both the areas speak the same language but have different dialects, the colors that dominated the Hindu side were red and mustard, and the muslim side were white and hues of blue. I don’t know if the colors are really a difference, it was just an observation. India is known to have a somewhat deep religious divide even though on official paper we are “secular” nation. India is known to have fights based on religion. However, such a divide is not observed in the people residing there. The most recent time I went to Chandini Chowk was with my school friends. We had gone there with the aim to take pictures though the heat and one friends insistence to buy kilos of sweets put me down. I did however enjoy going with them. There was no time limit being hounded on me by my dad my mum insisting me to put sunscreen due to the heat. I was truly allowed to get lost. It was also the first time I ventured into to Chawri Bazaar. I was able to click a couple of pictures. This one is of a trio of wheel barrows that are stuck in a traffic jam. 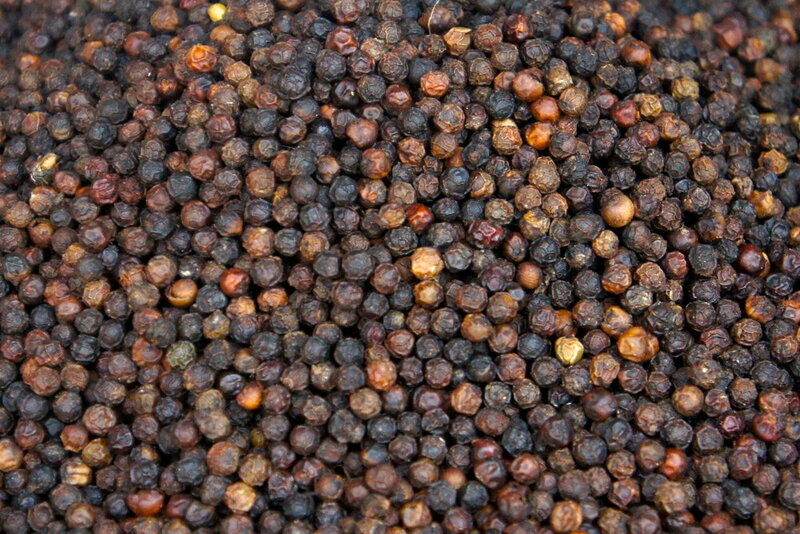 Another picture I took was of a bowl of peppercorns. Those tiny black spherical seeds really were able to express nature’s ability to create colors. Each corn was of a different hue of black or brown. It’s beautiful to think how many different colors were actually needed to get that color. I have not seen a place thiscolorful, hot, noisy, dirty, and tasty as Chandini Chowk. I cant wait to go again, beat the odds and click satisfying pictures and meeting interesting people, be it in the Jama Masjid or in the newly opened Mc Donald’s.